Welcome to “On Archiving Schapiro,” a blog that will follow the course of the project dedicated to archiving the collection of renowned art historian Meyer Schapiro (1904-1996). Throughout the course of the project, I’ll be sharing information and findings (some directly related to the archives and Meyer Schapiro and others tangential to, but in the orbit of, Schapiro). 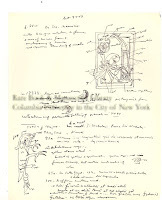 During my first week of gaining initial control of the physical material in the archives, I happened to stumble on a file folder that contained detailed notes and drawings of manuscripts Professor Schapiro had researched during trips to Europe. This one in particular is from th e Bibliothèque nationale de France in Paris and is, following Schapiro’s file label, from the region of Burgundy. Schapiro would take very detailed notes on illuminated manuscripts that he viewed across Europe, sometimes copying entire pages by hand. I’ve attached the image from which the banner image comes. The banner image is also emblematic of the blog itself. 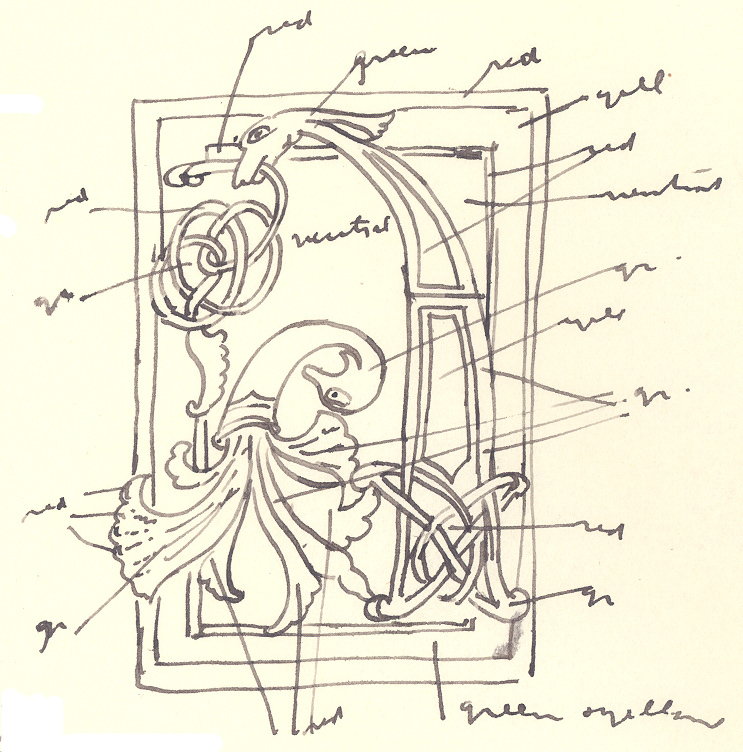 Like the image, with its component parts clearly differentiated to examine its unified whole, this blog will highlight unique aspects of the archival project that will culminate with the collection being fully described, encoded, and accessible. Critical seeing, aware of the incompleteness of perception, is explorative and dwells on details as well as on the large aspects that we call the whole. It takes into account others’ seeing; it is a collective and cooperative seeing and welcomes comparison of different perceptions and judgments. It also knows moments of sudden revelation and intense experience of unity and completeness which are shared in others’ scrutiny. Your collective participation and cooperation will be invaluable to this blog as a forum on Schapiro’s work and how it manifests in his archive. This entry was posted in Bibliothèque nationale de France, Blog, Illuminated manuscripts on February 10, 2009 by Administrator.